Driving back to Santa Fe, NM from Taos. 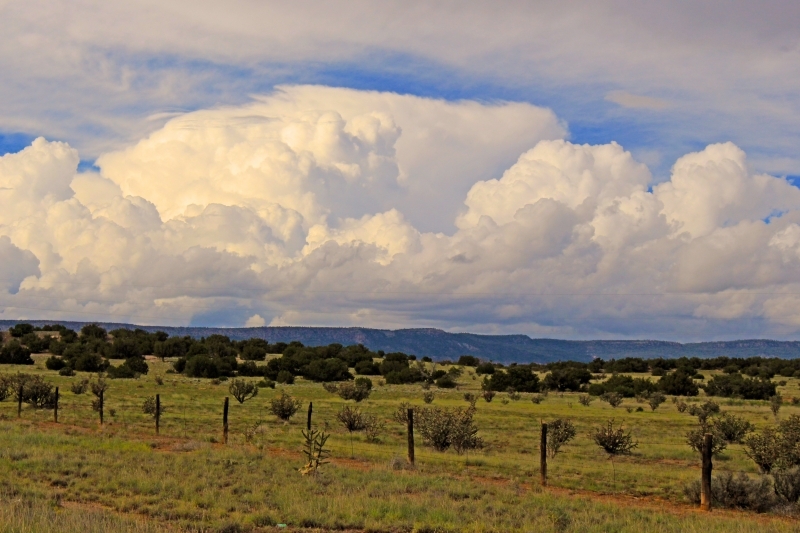 On a late afternoon drive back to Santa Fe, NM after a day trip to Taos Pueblo there were huge billowing clouds filling the sky. It was a magnificent sight! When we got back to Santa Fe there was a terrific thunder and lightning storm that night!